Dr. Jill Hough is the director of UGPTI's Small Urban and Rural Transit Center (SURTC), which focuses on research, education, and training for the public transportation industry. Hough has more than 20 years of experience in transportation. Currently, her primary research areas relate to workforce development, livability, mobility of the elderly and disadvantaged, intelligent transportation systems, as well as transit planning and management. Hough has authored or co-authored more than 50 research reports and journal articles. She has given more than one hundred presentations at the regional, national, and international level. She is the instructor of the graduate level course on public transportation, TL786 and chair of the National Transit Curriculum Committee. She is developing an academic course on "Leadership, Ethics and Academic Conduct." Hough also serves as a trainer and delivers one-half day to two-day trainings. She developed the one-half day training for "Ethics in the Workplace and Beyond." Hough is a certified John Maxwell speaker, trainer, and coach. Dr. Hough served two three-year terms on the National Academies of Science Transit Cooperative Research Program Oversight Project Selection (TOPS) committee which identifies and prioritizes transit research needs in the United States. She held the vice-chair position of the National Transit Institute Advisory Board at Rutgers – The State University of New Jersey. Dr. Hough served as the Chair of the Transportation Research Board's 19th National Conference on Rural Public and Intercity Bus Transportation. Hough chaired the Higher Education working group for the American Public Transportation Association's (APTA) Blue Ribbon Panel on Workforce Development and currently serves as the chair of the Higher Education Subcommittee for APTA. 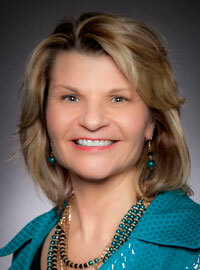 She also serves on the executive committee of the Council of University Transportation Centers (CUTC). Dr. Hough has testified on rural livability for the USDOT's Transportation Reauthorization Outreach Tour and she has testified before the U.S. Senate Budget Committee regarding the importance of infrastructure in rural areas, with a focus on the mobility of the elderly population. During her career, Hough has worked on several projects in cooperation with the U.S. Department of Transportation. In 1998 she was interim director for the Federal Transit Administration's Transit Intelligent Vehicle Initiative in Washington, D.C.
Dr. Hough earned her Ph.D. degree in the transportation technology and policy program at the University of California - Davis. She also has earned B.S. and M.S. degrees in agricultural economics at North Dakota State University.